Installing and changing fonts in your plots comes now easy with the extrafonts-package. There is a excellent tutorial on the extrafonts github site, still I will shortly demonstrate how it worked for me. First, install the package and load it. The pattern argument just specifies the fonts to be installed; if you leave it out, the function will search automatically and install all fonts (see the help function for font_import in R.
Let’s now draw a chart using the xkcd-style. This has been debated on stackoverflow, and the guys there have come up with great examples! 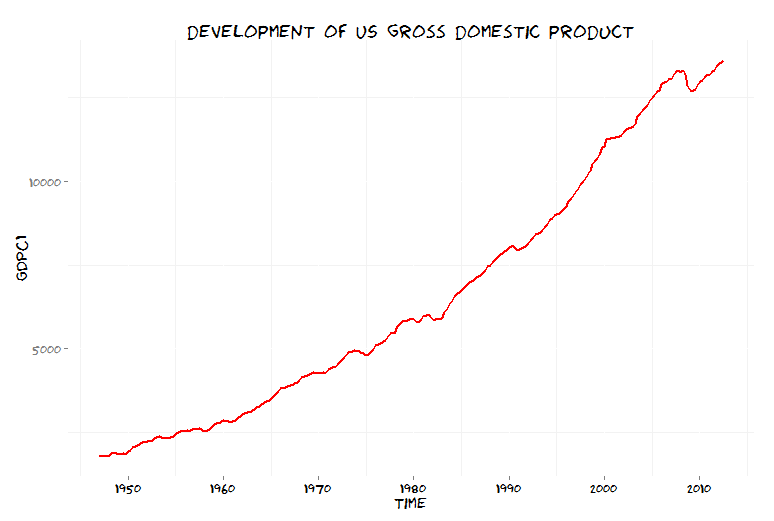 I basically just take their approach and modify it slightly to draw a graph on US GDP (gross domestic product) development. I download the data from the St. Louis Fed website, using the excellent quantmod package. But first I need to get the font in xkcd style, and I’ve chosen to download it from here. You now just have to install it, by right-clicking on the .ttf file and chose install. Now data is donwloaded, the font is installed. 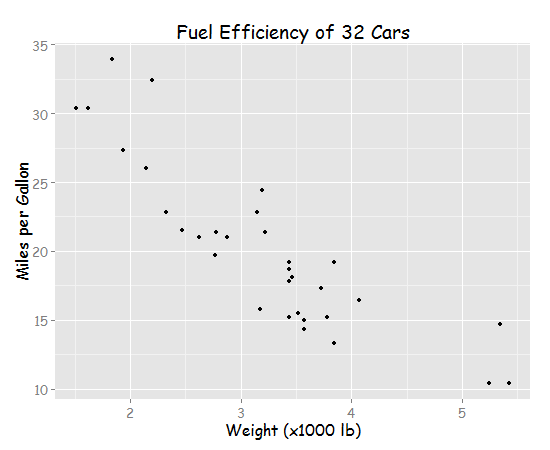 Next step: Create a ggplot2-theme that has xkcd “properties” – and this is what I’ve basically copied from stackoverflow. Note: Unlike on stackoverflow, I basically use only the font. I do not jitter the line, since it is real data that is “jittered” anyway. There might be some warnings issued, but usually it works. And finally: I do not take any credit for this work, it’s basically the developers of the extrafont package and Mark Bulling on stackoverflow who made all this possible. Any remaining errors are mine. To leave a comment for the author, please follow the link and comment on their blog: fibosworld » R.